In the Shadow of Our Looming Destiny (Video Game) – Game/Life Balance U.S.
Today ends everything as we know it, for today our Destiny (video game) premieres on the PS4, Xbox One, PS3, and Xbox 360. The hype is strong with this one. The buzz can be felt across the stars. 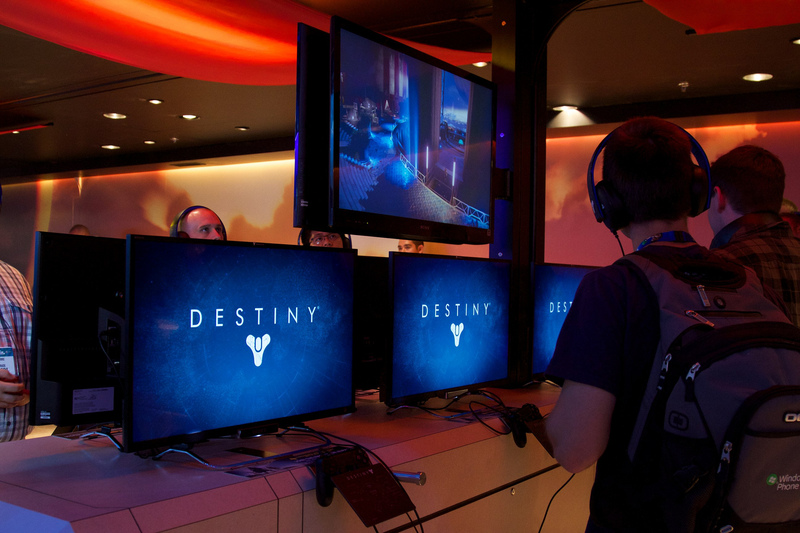 People have been suffering from Destiny withdrawal since the Alpha and Beta went down. Our bodies are Reggie. After playing the Alpha and Beta for hours solo and with friends, I am honestly looking forward to playing this game. I even played that special Moon mission, which was only live for like an hour. Solo play was fun, but the real allure was in playing with friends. It’s an experience unlike any other that I’ve had in my long career as a gamer. Gunplay was great and meshed well with the assortment of powers I had access to as a Titan. The three classes played off of each others’ strengths and weaknesses nicely enough, though I imagine in later levels the differences will be more pronounced. Destiny is one of the most hyped up games in history, but will it be all it’s cracked up to be? Some who have played the Alpha and Beta didn’t find it too innovative or creative, though there was not much these prototypes gave us access to. There was, admittedly, not entirely too much to do in the Alpha and Beta. In fact, the Beta didn’t introduce anything new really, so I don’t even know why we had two separate releases. What gamers are excited for, though, are the possibilities that early gameplay show us. It makes us (well, most of us) want more. More powers, more guns, more planets, more fun. I’m sorry that rhymed, but that’s how I feel. The Alpha and Beta themselves weren’t meant to give us the full Destiny experience. What would be the point of that? The game itself would be obsolete then. It was designed to have us flirt with the possibilities and look to the future of the game. It was designed to make us want to buy it and play it forever. In that regard, I’d say they succeeded. One of the great things people are looking forward to with Destiny is their promise to keep up maintenance and updates for the game for years to come. They want to keep adding new content for a decade. This reminds me of how World of Warcraft, which I have played for years, constantly adds new content even outside of their numerous expansions. If Destiny lives up to its promise of continued support, then Destiny may just be one of the best deals in gaming. Like, ever. What is Destiny’s destiny? Will it become the greatest thing in gaming, or will it fail to live up to all of the hype? Given my own experience and comparing that against their own promises, I’d say chances are good that the game will be good. Or at least not bad. One thing is for certain, though, as we sit here in the shadow of Destiny, is that Destiny will shake the ground beneath the gaming world.